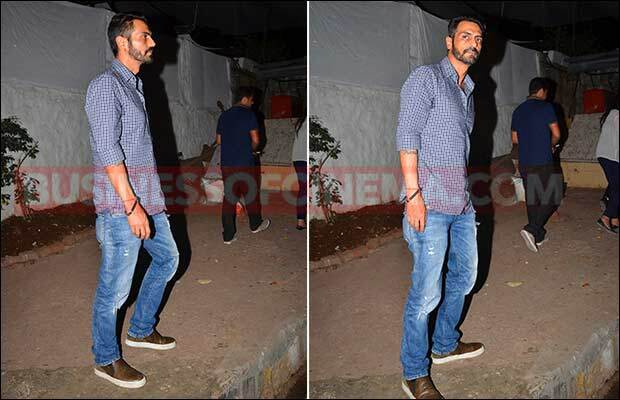 Home BOLLYWOOD Photos: Drunk Arjun Rampal Tries To Hide His Alcohol Bottle! 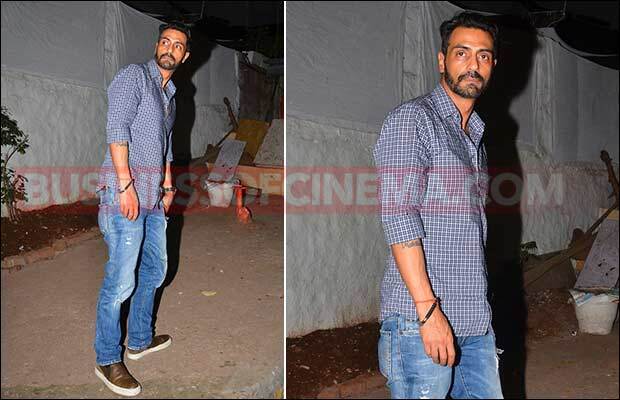 Photos: Drunk Arjun Rampal Tries To Hide His Alcohol Bottle! [tps_footer]After their hectic working schedules, Bollywood stars surely prefer to party hard with their buddies on weekends and it seems Arjun Rampal had the best boozy night recently. The actor, who is shooting for his upcoming film Rock On 2, was spotted partying hard at Olive restaurant in Mumbai. It seems Arjun Rampal had such a boozy weekend that he even forgot to leave his alcohol bottle inside the restaurant. Dressed in casuals and rough beard look, Arjun Kapoor was spotted with bottle of alcohol in his hand. Not only that, he even tried to hide the bottle, but well, paparazzi just caught him! Looking at the pictures, it seems Arjun Rampal has taken more than he could take and if that was not enough, he took one for the road! Surprisingly, drunk Arjun Rampal also managed to pose for the cameras and at the same time tried hiding his alcohol bottle.